Leaked renders have arrived purportedly showing off LG's next flagship phone, the LG G8. It would appear that LG didn&apos;t get the memo about notches being out this year, if these new leaked renders and 360-degree video from 91Mobiles and @OnLeaks are to be believed. The renders, said to be of the upcoming LG G8, show a handset that looks almost identical to last year&apos;s LG G7 ThinQ, though keen observers will notice some very subtle differences between the two phones. Firstly, it looks as though the LG G8 has slightly reduced the size of its chin bezel. Before you rush off to preorder, it&apos;s also worth noting that its aforementioned notch now seems to house a dual camera setup, which will either provide depth-of-field selfies or better face unlock functionality. 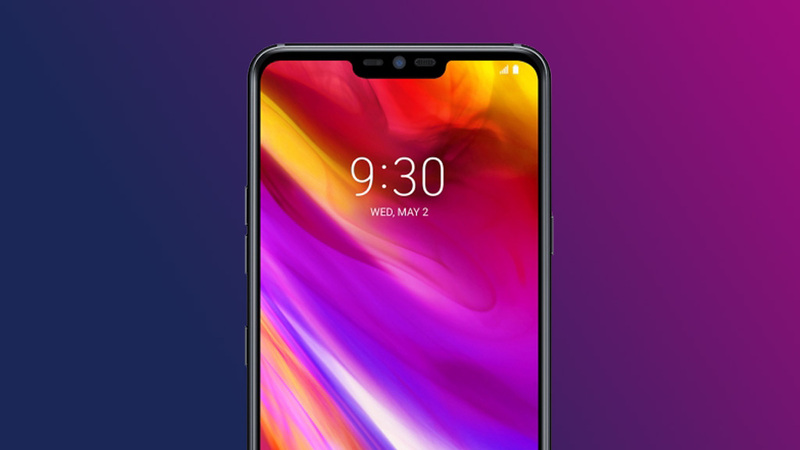 On the rear of the phone, you&apos;ll notice the cameras are now horizontally aligned, as opposed to the G7 ThinQ&apos;s vertical implementation. Like last year&apos;s model, LG will reportedly stick to a dual-lens primary camera setup, bringing the total up to four cameras on the G8.